Ragwort Removal a Roaring Success! 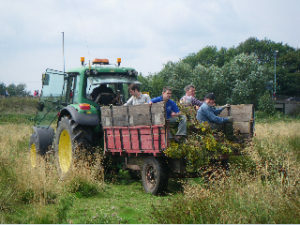 Very many thanks to everyone who turned out for each of the three ragwort-pulling parties. Overall a dozen trailer-loads of the dreaded weed have been removed and the whole of the meadow has been cleared, greatly improving the site for wildlife.